The U.S. Navy plans to develop two new classes of submarine, according to congressional analysis of the sea service’s shipbuilding plan for 2019. The submarines could help to maintain the Navy’s advantage in submarine-on-submarine warfare while also filling a looming shortfall in the sailing branch’s capacity for sea-to-land missile strikes. But not without cost. Designing and building five of the new Large Payload Submarine cruise-missile subs and 30 of the new SSN(X) attack submarines could set back U.S. taxpayers $200 billion by 2048. That’s significantly more than the Navy expected to spend as recently as 2017. Today the Navy possesses 65 submarines. All of them are nuclear-powered. They include 14 Ohio-class ballistic-missile submarines, or “boomers,” which the Navy expects to begin replacing with 12 new Columbia-class boomers starting in 2021. The balance of today’s submarines include 35 1980s-vintage Los Angeles-class attack submarines, three attack boats of the 1990s Seawolf class, 13 newer Virginia-class attack boats and four old Ohios that the Navy converted into cruise-missile carriers during the early 2000s. Each of these old boats can carry as many as 154 Tomahawk cruise missiles. Today around 10 attack subs are on patrol on any given day while the others undergo maintenance and crew training. Navy plans require as many as 35 boats to surge on short notice to a war zone during a major conflict. As of 2017, the Navy planned to upgrade the Virginia design and continue buying vessels of that class though the late 2040s, at least, while also retiring the converted Ohio cruise-missile submarines without a direct replacement starting in the mid-2020s. The latest version of the Virginia includes a hull extension for new vertical missile tubes. This “Virginia Payload Module” boosts the type’s cruise-missile capacity from 12 to 40, a feature that could help alleviate a missile-tube shortfall resulting from the planned retirement of the cruise-missile carriers. But the latest edition of the Navy’s 30-year shipbuilding plan revises those plans. Instead of upgrading the Virginia, the sailing branch anticipates designing a brand-new attack boat it calls the SSN(X). The new vessel would enter service beginning in 2034. The SSN(X) reportedly would be bigger than the 8,000-ton-displacement Virginia is, and thus would more closely match the 9,000-ton-displacement of the Seawolf class. “The Navy indicates that the next-generation attack submarine should be faster, stealthier and able to carry more torpedoes than the Virginia class” does, according to an October report by the Congressional Budget Office. But the SSN(X) would not include the payload module, instead devoting its extra space to torpedoes, propulsion and quieting features — design aspects that contribute to superior performance in sub-on-sub warfare. Reducing missile armament in favor of torpedoes in the SSN(X) design could, absent other force-structure changes, exacerbate the loss of around 600 missile tubes when the converted Ohios decommission and lengthened Virginias with their extra 28 missile tubes apiece are just beginning to enter service in the mid-2020s. The new Large Payload Submarine, which the Navy first mentioned in its shipbuilding plan for 2019, addresses this problem. “The Navy provides little information about the size and capabilities of the large payload submarine,” CBO explained. 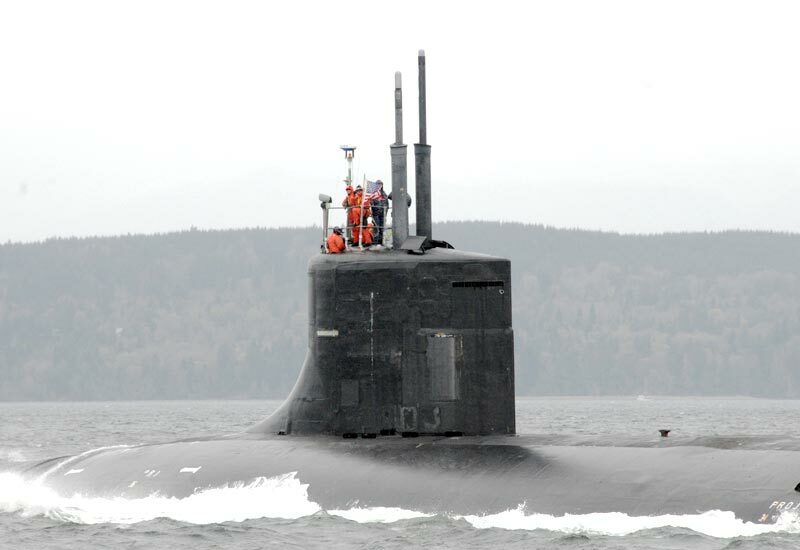 The Navy has been buying new Virginias at a rate of two per year, hoping to mitigate an attack-sub shortfall during the mid-2020s. In December 2016, the Navy announced it needed 66 attack boats to meet regional commanders’ needs. But the attack-sub force could decline to a low of 42 in 2028 as old Los Angeles and cruise-missile boats leave the fleet in large numbers. “Where we sit today is, we can’t build ships and deliver them in time to fill in that dip,” Vice Adm. Bill Merz, a deputy chief of naval operations, told U.S. senators. Introducing two new submarine classes could address specific capability shortfalls — undersea stealth and fleet missile capacity, for example — but the addition likely will increase overall shipbuilding costs. The Navy’s old plan to upgrade the Virginia design in the 2030s would have cost $3.6 billion per ship, the CBO estimated. Designing and building SSN(X)s instead could cost $5.5 billion per sub, according to the CBO. The budget office predicted each Large Payload Submarine would come with a whopping $7.7-billion price tag. Adding cost makes it harder for the Navy to, for example, boost submarine production rates in order to address the coming attack-boat shortfall.